13 November 2017 | Wir möchten Ihnen die Mitarbeiter und Abteilungen von Conrad vorstellen. Ein Einblick in die Prozesse und Aktivitäten, aber auch in die menschliche Seite unseres Geschäfts geben. In dieser Ausgabe: Linda Klaster. 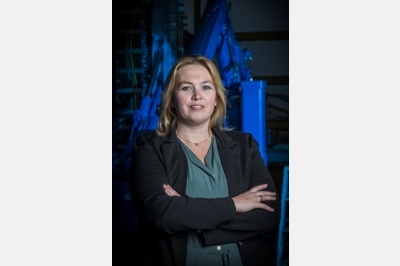 Linda Klaster is HR Director | Head of Internal Processes. 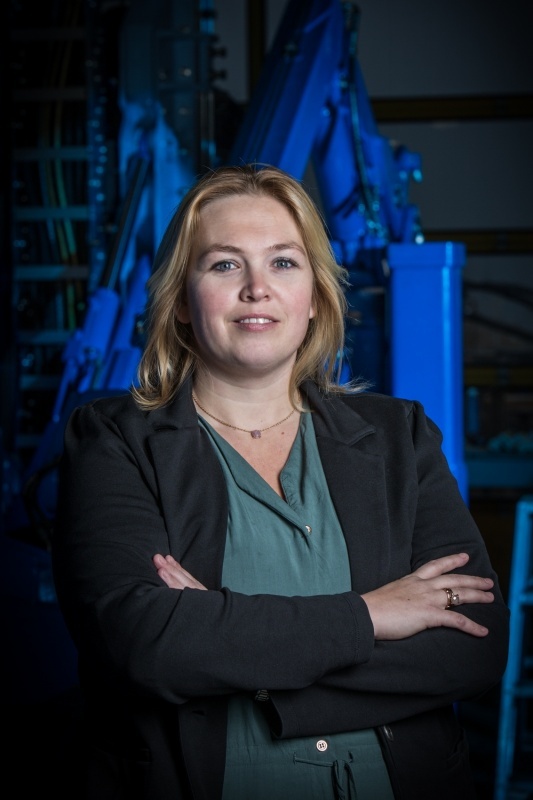 Together with Managing Director and partner Bram Muurlink, she manages the organization in Emmeloord and a household with four young children. Linda focuses on Conrad's processes, administration and staff. She brought the necessary "female touch" in the typical male culture, officially since April 2009. Communication, attention to human beings and the presentation inside and outside the building has her special attention. In recent years, Linda watched Conrad developing into an international organization. "I am very proud of Bram, he really brought our product and company to what it is now. And our team is indispensable of course. Some colleagues have been there from the beginning. Specialists who really know all the techniques of drilling machines. Who have used their hearts and minds. We have seen those colleagues grow continuously, and I really have a lot of respect for that. " "Due to the growth of Conrad itself, we now and then also need new colleagues. These people should be part of the permanent team and the process as soon as possible. Selecting and guiding the right candidates is essential then. We work hard every day to make all Conrad processes as efficient as possible and to deliver the drilling installations on time and without error. Each link must perform optimally. For this reason, we like to work with people from our direct network and with local suppliers. " "Despite our international services, we love to work with local people and suppliers." "If you want to be, and stay, innovative, you should create a creative atmosphere. Our co-workers know they are allowed to make mistakes. A wonderful challenge, because machines need to be delivered on time at the end of the ride. Still, we are always able to keep on renewing. Over time, we are also implementing more and more techniques. For example, the machining, where we have now built a completely new hall. This hall provides more space for machining and construction, but is also built to improve acoustic problems in our current building. With the internal redesign, we will further improve acoustics and internal processes. By providing our own hydraulic and electro specialists with their own locked space, they can focus more on the job. This not only increases efficiency, but also the work pleasure increases. " "I love my work especially by being busy with innovations, by constantly looking for challenges in this growing market and growing business. Whenever you think, now we are on order, we need to take a new step. It’s challenging! Both for Conrad and for myself. During the past period, I have been busy with the implementation of the new ERP package, the acquisition of two competitors and the construction of the new building. But the same goes for, for example, Steven and Marco, all in our own area. In the near future, we will face many changes. I am looking forward to the installing and operating the new Kardex cabinet that will replace our small materials warehouse and the changes in our existing property. We want to give more attention to the so-called "customer-journey", which also applies for the colleagues. One of the plans is the realization of the Conrad café in the current canteen. A place that fits better with Conrad's atmosphere. " "Actually, I've never been scared that Bram and I would get in each other’s way, at home or at work. Because we have a different focus, we are not in continuous contact. Bram focuses on technology and customer contact, and I focus more on internal organization, administration, staff and processes. "As a part time employee, I often start in the middle of the day. It is sometimes difficult, but it also has benefits. It gives me the opportunity to look at the organization with a helicopter view. And I really enjoy the personal conversations in the breaks.